Order Christian History #99: Faith & the American Presidency in print. 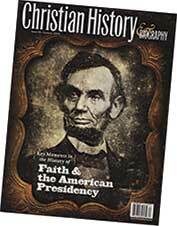 This article is from Christian History magazine #99 Faith & the American Presidency. Read it in context here!